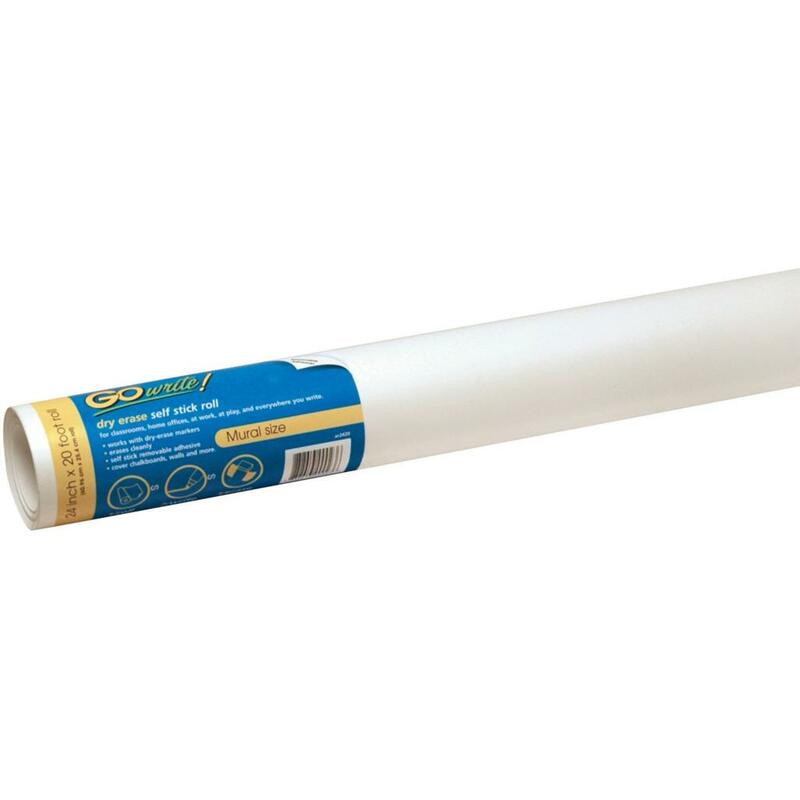 Self-adhesive dry-erase roll makes an old chalkboard or a worn-out dry-erase board useful again. Fully adhesive back makes it easy and convenient to put up. Create a dry-erase board almost anywhere. Ideal for conference room tables, desks, walls, doors and almost any hard surface. When removed, adhesive will not leave residue behind. Dry-erase surface wipes clean after use. Board is recyclable.